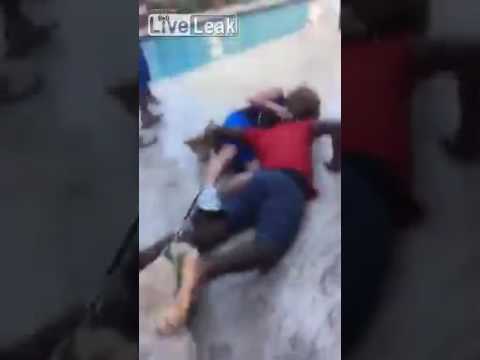 68-year-old Nancy James was body slammed to the floor and then thrown into the pool by 16-year-old Leon Balfour Joseph. Nancy was walking her dogs when she decided to tell the neighbors that their music was too loud and as it was on all night long. Too scared to come during the night, she decided to confront them during the day where everything is visible. Upon confronting them, her worst nightmare came true and she was assaulted by a teen who body-slammed her to the ground. If that wasn’t enough he picked her up and threw the 68-year-old in the pool. The teen got 3-weeks of house detention and was still allowed to go to school and play basketball with his friends.